Sun Peaks Brew Pub came and went to Sun Peaks? A Sun Peaks brew pub is something that we have thought about and wanted for a long time. If we had the experience and resources, we would love to open a fantastic slope-side brew pub at Sun peaks, offering amazing food and great beer, all hand-crafted on site and all food prepared from local ingredients. Nancy even insists that we make it a see-through ski-through brew pub - how cool would that be!? We even thought about working with one of the very popular brew pubs in Kamloops (The Noble Pig or the Red Collar Brewing Co.) and with Sun Peaks Resort to co-brand a line of fantastic Best Sun Peaks craft beers to sell at the resort and elsewhere. And now it seems that others have had similar thoughts, with the announcement of "Sun Peaks Brew Pub' Beer being launched at Masa's and other locations in November of 2016. However, there are many places to enjoy a selection of Best Sun Peaks beers - traditional local varieties as well as local craft beers. At the time of writing this, there is still no Sun Peaks Brew Pub in the works that we are aware of - just the name which is kind of misleading and a little disappointing. Rather, there appears to just be a co-branding agreement of some sort in place between Sun Peaks Resort and a new company, B.C. Brewing Company, to brew and sell Sun Peaks branded beer at the resort as well as other locations in BC at this time. Joey Bedard, one of the co-owners of BC Brewing Company, is also one of the owners of Hops Canada located near Kamloops on Tk'emlups te Secwepemc First Nation land. Their goal is to eventually grow all the necessary hops and barley needed to completely supply their operation with local Kamloops grown ingredients, as well as other customers. They currently source all their ingredients in BC and brew the beer in Kelowna, but plans are in the works to move everything to a new location in Kamloops. 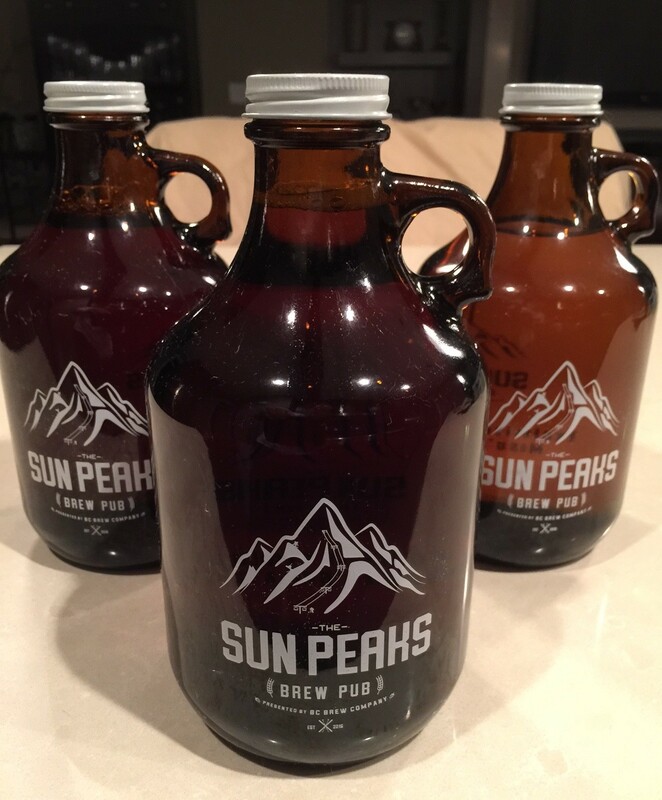 They launched with three different kinds of Sun Peaks branded Beer - Sun Peaks Cream Ale, Sun Peaks Brown Ale, and Sun Peaks Pilsener. We have tried and enjoyed all three, with the Sun Peaks Brown Ale, sweetened with a kiss of Kamloops honey, being our favorite. 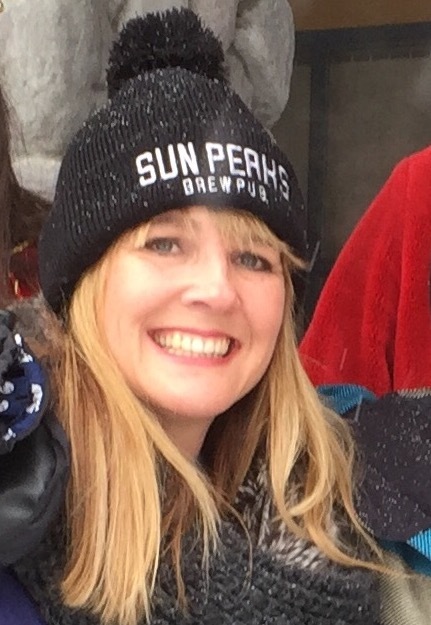 The Sun Peaks Brew Company is not trying to be a Sun Peaks Craft Beer company per se, or compete in that popular and trendy market. Instead they are aiming to appeal to the every-day beer drinker who would rather drink a reasonably priced ale, lager or pilsener like a Bud or Molson beer, that is brewed in BC with 100% BC grown/produced ingredients. Beauty SWAG - thanks Sun Peaks Brew Pub! Initially both Mantle's Restaurant & Lounge in the Sun Peaks Grand Hotel, as well as Morrisey's Public House will have rotating taps with differing varieties at different times. Morrisey's also has a good variety of draft beer including Red Collar Ales. Masa's, in the Sun Peaks Village Day lodge and considered to have the best selection of draft beer at Sun Peaks, will soon have Sun Peaks Brewery beer on tap as well. Initially though, they do have all 3 varieties of beer available for purchase in branded, returnable growlers. The initial cost was around $2 deposit for the growler and $5 for the liter of beer. 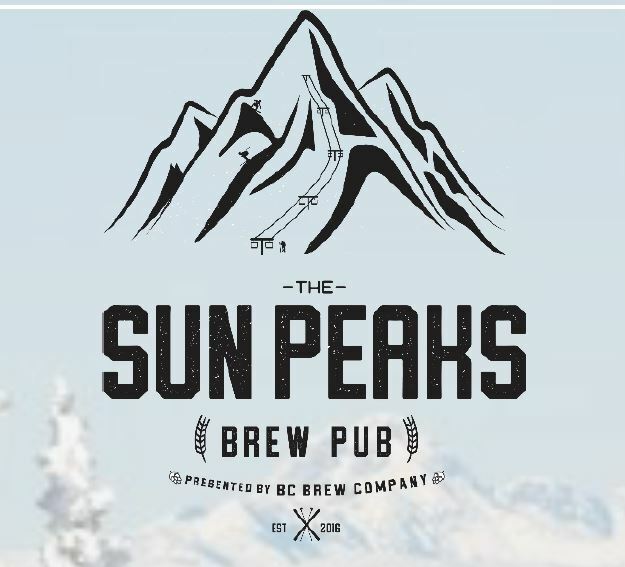 While we are disappointed there isn't really a Brew Pub in Sun Peaks, we are sort of ok with this co-branding agreement since the beer is good, reasonably priced, and helps to get the Sun Peaks name out there. However we can't wait for a real, fully-operational Sun Peaks Brew Pub to be built! If trying different, delicious, true craft beers is more your thing, be sure to check out Red Collar and The Noble Pig in Kamloops. You can also put a group together and plan a Sun Peaks Craft Beer Tour to Kamloops with pick-up and drop-off in Sun Peaks.